This is the grave of Albert Ernest Rice. The man was if I remember 21 when he died. 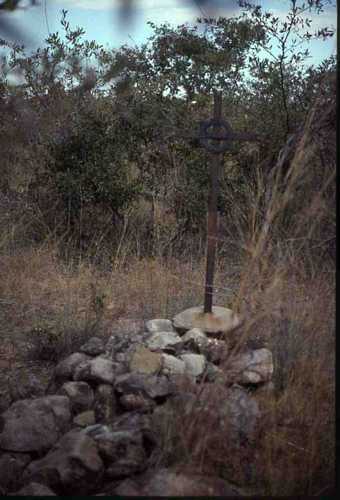 The cross records him dying on the 14/2/1900. His No was 780. (This I'm sure was his British South Africa Company No). It is situated on the top of the Bluff overlooking the Eastern end of the Chete Gorge, Kariba. A pretty desolate place when I took this picture in 1986 ,God knows what it was like in 1900! !